Explanation: Clyde Tombaugh discovered planet Pluto in 1930 while surveying the skies with the 13-inch Lawrence Lowell Telescope. But the skilled and careful astronomer also went on to discover star clusters, comets, asteroids, and clusters of galaxies. For example, pictured is galactic or open star cluster Tombaugh 4 in the northern constellation Cassiopeia. 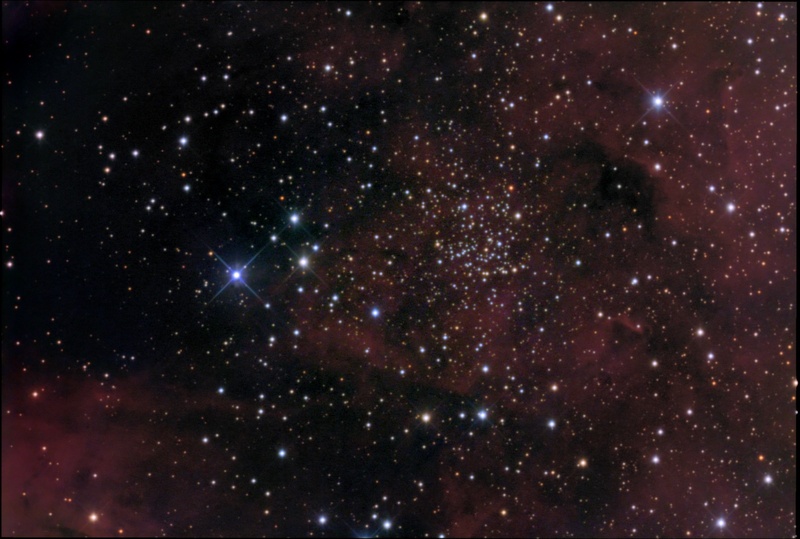 Published in 1941, Tombaugh's description, based on his photographic images from the Lowell 13-inch, indicates the cluster is small and faint, and comprised of about 30 stars. Using the apparent brightness of the cluster stars he estimated the distance to be 20 to 30 thousand light-years, making Tombaugh 4 over 10 light-years in diameter. 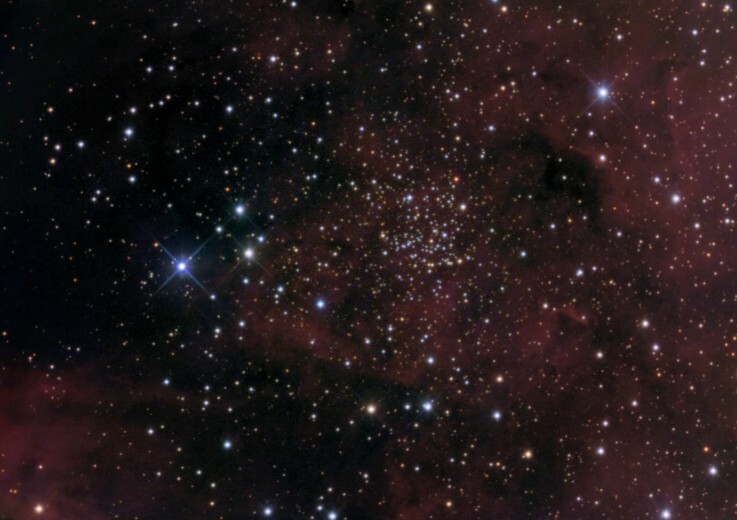 This deep color image, made with a modern ccd camera and another 13-inch telescope, includes the region's foreground stars and faint nebulosities.